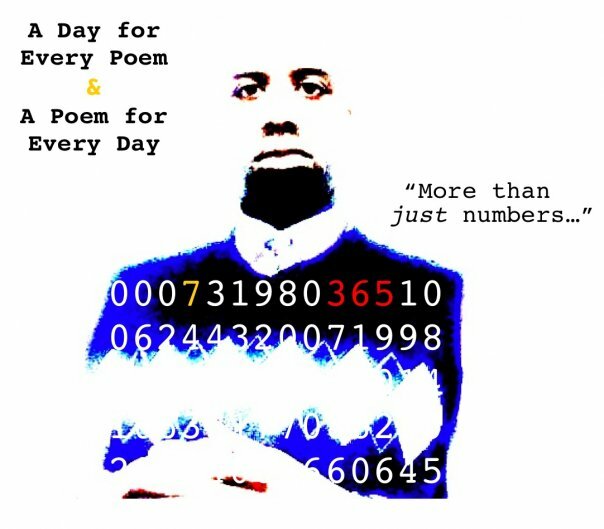 "A Day For Every Poem & A Poem for Every Day"
A Poem for Every Day"
"I wanted to tell you that I love Day 268: "Let Them Go Ahead"-- It is so simply beautifully expressed and so true. We shouldn't hold on selfishly to a loved one when it's their time to enter a magnificent existence... thank you for sharing your verses with others." 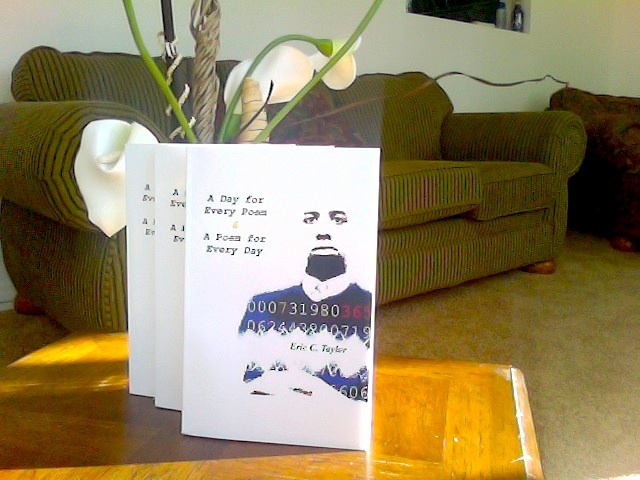 PUBLISHING COMPANY FOR "A DAY FOR EVERY POEM..."
Chapter 9: A Black Past & A Brown Present-- On the African-American Experience. Life's important milestones and moments... captured in the written word. Books are more than just empty spaces filled with letters and punctuation marks, and more than one man's mere words... I like to think of books as profound physical extensions of a collection of human experiences. And if such is the case, we all, whether a short story or a grand novel, have at least one book inside of us (if not a series). So... I hope you enjoy my insides! 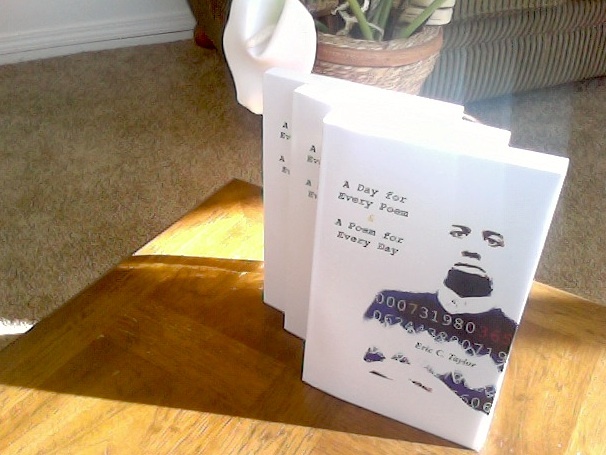 "A Day for Every Poem and A Poem for Every Day" thoroughly covers a wide span of human situations and emotions encountered and felt along my travels across this country. This book surely could be considered a journal of sorts, one poets viewpoints on the trappings of life. 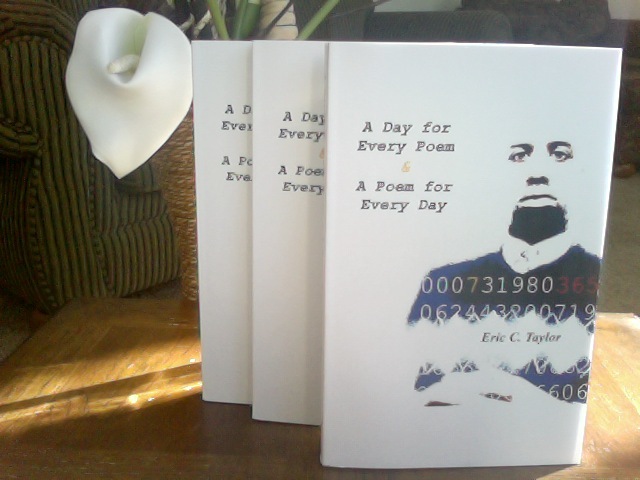 One time, someone asked, "So, do all your poems rhyme?" 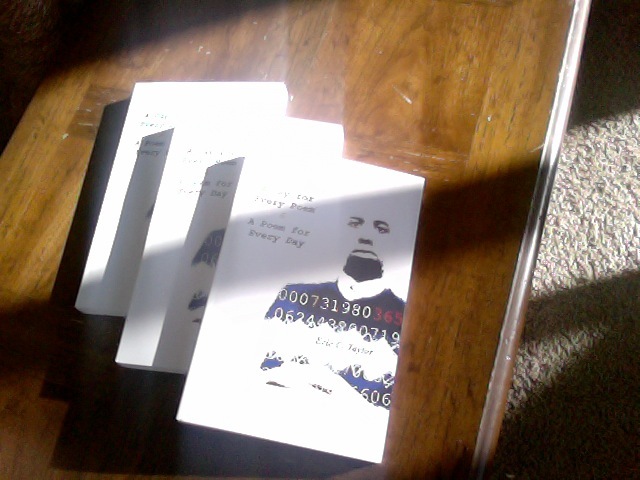 Now that I think about it, it was more than one time that such a question was asked, and it's not hard to arrive at that idea after thumbing through "A Day for Every Poem and Poem for Every Day;" I do rhyme quite a bit. Yet, there are a few passages that pour onto the page with absolutely no rhyme scheme or meter. Besides for purposes of ready remembrances of passages and lessons/ideas nestled in my poems, I think my poetic influences have a lot do with my almost in insatiable need to rhyme ("right on time"). If you'll remember, and respect with me, such writers as Robert Frost, Edgar Alan Poe, Lewis Carroll, Rudyard Kipling, and Henry Wadsworth Longfellow... what skill, what prowess, and what beauty within the bounds of human communications to, well, communicate through rhyme. Those authors were my professors of rhyme. From my early introduction to, for example, Frost and Poe, I rightly figured the rhyme scheme was the "hook" to draw the reader to the message in both a sweet and a simplistic way. Chapter 15: While Sitting Quietly, While Walking Slowly-- For and about sitting still. Chapter 16: America Accented-- About the states' state of mind. Chapter 20: White Walls & Step for Step with People-- Dealing with humans. The how-tos learned in school, A story without plot. Is not because of sheer "to-dos"
See words writ-down "so witty."